Family holidays are all about spending quality time with your loved ones and creating memories that leaves a lasting impression. If you are wanting to plan an epic family vacation, but not exactly sure where to start, we have got you covered. 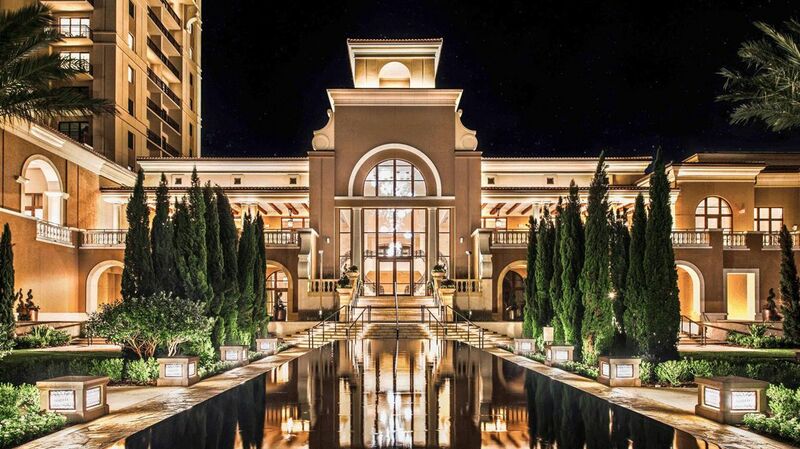 We have put together a list of some of the best luxury hotels for families in the world, with kid-friendly perks and luxurious amenities. Whether you are looking for a rustic retreat by the riverside or an out-of-this-world, bucket list-worthy stay on a paradisiacal island, there is something to please everyone - from tiny tykes to jetsetting teens and parents who simply need a break. 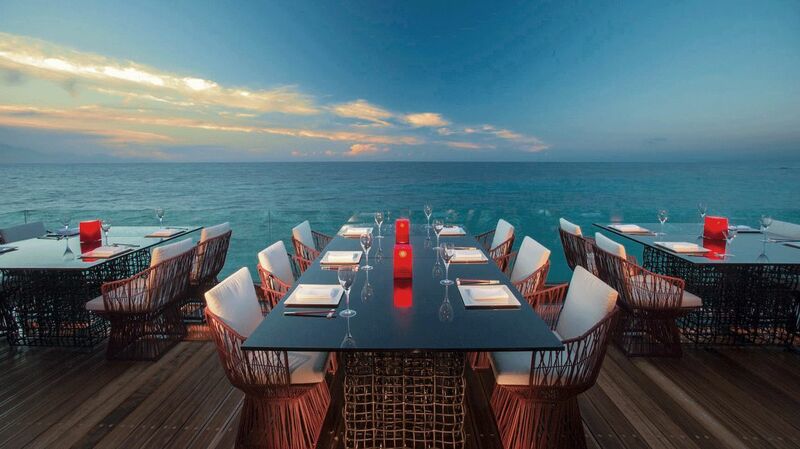 Kick off your flip flops and enjoy the spoils of island life with the Soneva Fushi’s “No news, no shoes” philosophy. 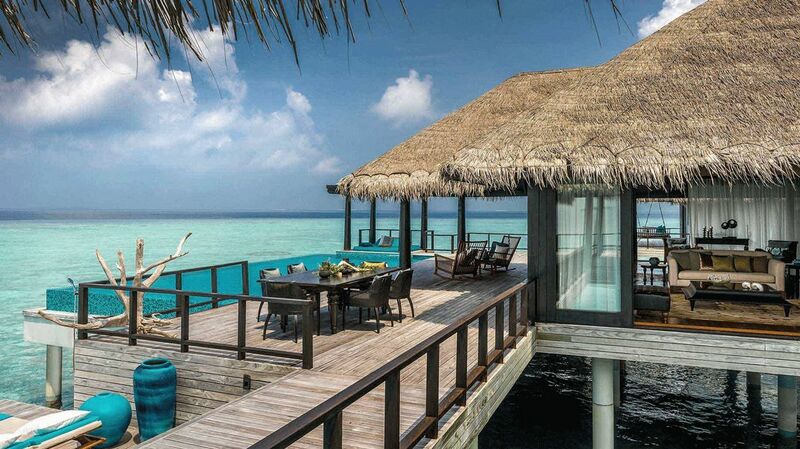 This barefoot luxury haven in the Maldives is the perfect family-friendly resort with an array of fantastic activities for everyone to enjoy. Kids can let their imagination run wild in the Den where they can explore a pirate ship, the Lego room and even dress up as their favorite characters in the dress up room, chock-full of costumes, wigs and accessories. Older kids will love the DJ corner and zipping through the jungle on a zipline, then cooling off with a refreshing mocktail, milkshake or smoothie. The fun doesn’t stop there; cozy up with the entire family at the outdoor cinema with a kid-friendly buffet that caters to the youngsters while allowing the parents to have a separate dinner. 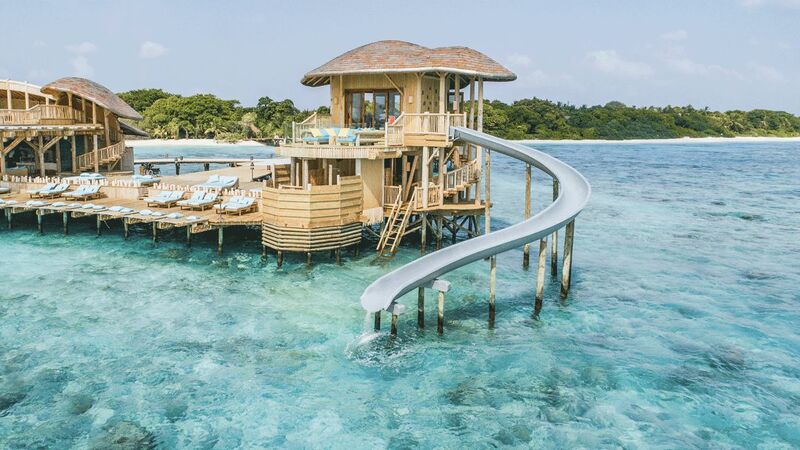 From banana boat rides to family picnics and snorkel adventures, the Soneva Fushi is a tropical playground for the whole family. Children and teenagers are guaranteed to have a blast at this unique family luxury villa in Zakynthos. The Kids’ Club offers fun treasure hunts, mini Zumba classes and craft materials for the creative mind. Oh, and smoothie-and-dance party, anyone?! Guests young and old can experience different kinds of family-friendly outdoor activities such as snorkeling, diving, horse or pony riding and tennis lessons. Another family favorite is the private cruise to Turtle Island or an excursion to Ancient Olympia. The Ponte Zante goes above and beyond to cater to their young guests with specially decorated rooms and villas, baby cots, and a special Kids’ Menu created by the resort’s Executive Chef. No need to pack extra – baby equipment, strollers and cots are all complimentary during your stay. For the active family looking for some outdoor adventure, stay and play at the Taylor River Lodge, the luxurious rustic lodge for families in the heart of Colorado’s Rocky Mountains. Just outside your doorstep, outdoor adventure awaits, from fly fishing to white-water rafting, mountain biking, hiking and horse-riding; activities can be tailored to guests of all ages. Youngsters can make a splash in the saltwater pool at the Bathhouse or make it a family game night at the Copper John Cabin with vintage board games, dart board, table football and a pool table. Finicky eaters? No worries, the on-site chef will whip up a menu for even the pickiest palate. 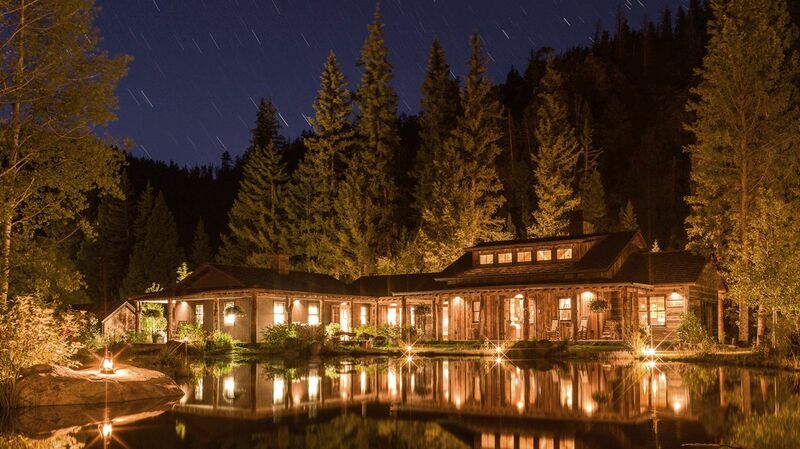 Finish an action-packed day with stargazing and S’mores by the fireside. Retreat to one of the two-suite cabins with a lofted kids’ room with bunk beds, a full residence with two master suites, and nostalgic details reminiscent of your favorite summer camp as a kid. If you have been searching for the ideal family-friendly safari destination, the Singita Serengeti House is your place! Located in the Serengeti National Park in northern Tanzania, this private house rests in the second largest wildlife park in Africa and offers an ultra-luxurious and kid-friendly camping experience. Inspired by family and designed to maximize spending quality time with loved ones, the Singita Serengeti is a once-in-a-lifetime adventure that will be cherished for years to come. Families can enjoy the thrill of an African game drives, walking safaris, hot air ballooning and star gazing all from your own private tented base. Tiny explorers can keep busy with archery lessons, cooking classes with the chefs and exhilarating bush walks. 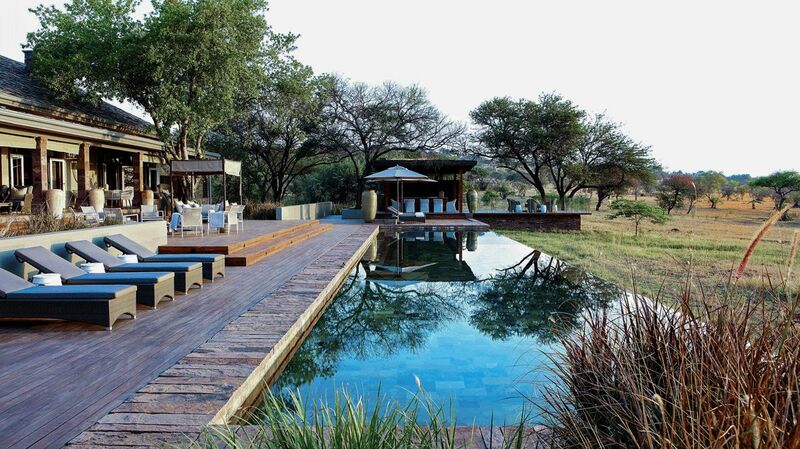 Adults can pamper themselves at the spa, or lounge by the swimming pool while the little ones are off exploring the Mini-Ranger’s Course. One thing is certain, you will never hear your kids say they are bored at the Anantara Kihavah. Located in a UNESCO Biosphere Reserve and surrounded by crystal-clear lagoons amidst a sea of sapphire, it is the ultimate playground and destination for a luxury family vacation. Grab your flippers and snorkel and embark on a turtle quest or swim with manta rays. If you have a need for speed, take an exhilarating ride on a jet ski as you zoom across the sea surface. On land, the little ones can hop on over to the trampoline park or put on their chef’s hat and whip up some delicious treats with a complimentary cooking class. The Anantara Kihavah caters to all families with kids, both young and old and is one of the best Maldives family resorts, offering parents a night off with professional babysitters that allows you to enjoy a private dinner on the beach or a chartered yacht. 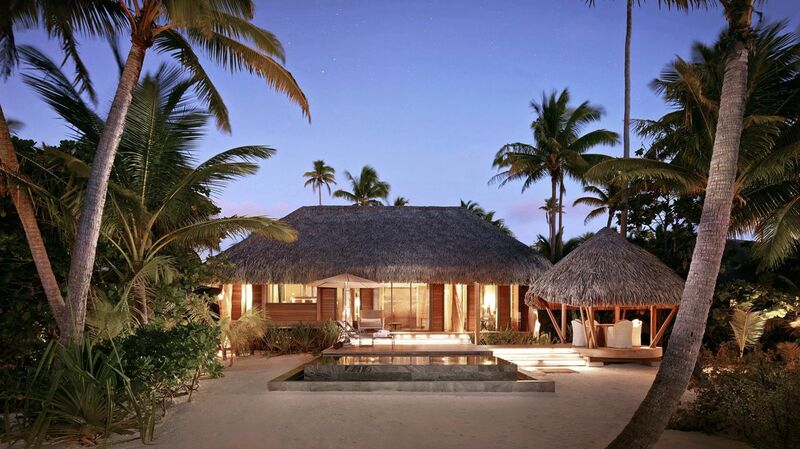 The Brando puts a new spin on “family-friendly”. You won’t find a kids’ club here; instead this unique French-Polynesian paradise features a Lagoon School where kids can learn about life on an atoll through snorkeling, treasure hunts, and whale-watching excursions. While the kids are out exploring, or under the watchful eye of the on-site babysitter, parents can enjoy the magic of a romantic cruise, a candle-lit dinner on the beach or the indulgence of an all-natural spa treatment. You certainly won’t find a shortage of things to do as a family on this luxury holiday with kids. Put on your mask and fins and swim alongside sea turtles, reef sharks and rays in the crystal-clear lagoon or choose from the extensive list of free excursions such as island tours, reef quests and birdwatching offered by the resort. 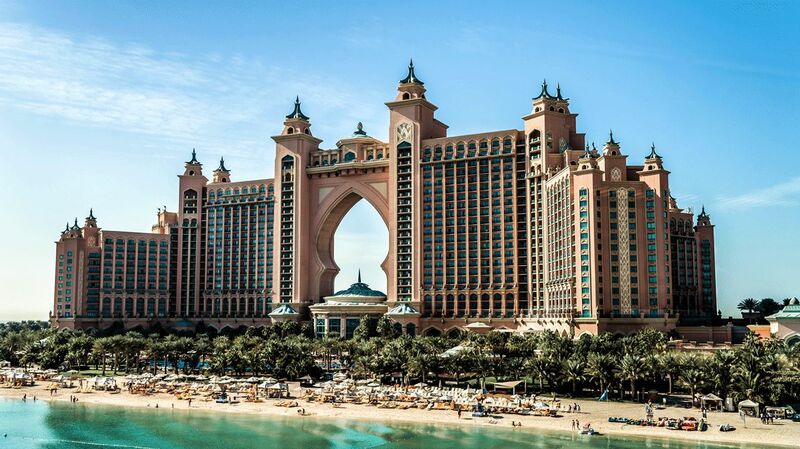 The Atlantis, the Palm, is a destination all on its own. This mythical “lost city”-themed resort sprawls over 113 acres of land on Dubai’s illustrious Jumeirah Palm and has more than enough attractions where families can spend their entire vacation without ever leaving the hotel. Dive into a world of excitement at the Aquaventure Waterpark with record-breaking rides and slides or discover the mysteries of the Lost Chambers Aquarium, home to over 65,000 marine animals. Adventures await at the Atlantis Kids’ Club for 3-12 year olds, and for the older kids the Club Rush and Sugar Rush Bar are the perfect spots to chill and socialize with new friends from around the world. Need a little adult time? The Atlantis offers in-room, outdoor and in-resort babysitting services. Also, with 23 restaurants on the expansive property, even the pickiest eater is sure to find something that suits their taste. Atlantis, The Palm, in all its luxurious glory, is undoubtedly the best place to stay in Dubai for families. 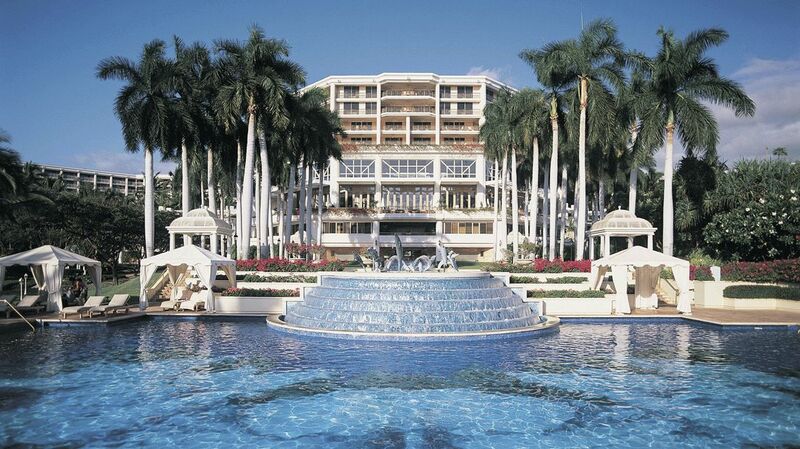 When it comes to keeping kids entertained, the Grand Wailea is in a class all of its own. With nine different swimming pools on six different levels; as well as, a spectacular water park featuring waterslides, rapids, caves, rope swings, a lazy-river pool and the world’s first water elevator, it’s no wonder travelers regard this hotel as the best family luxury resort in Hawaii. While the kiddos are splish splashing in the sparkling pools, the adults can take a relaxing dip in one of the three jacuzzis or soak up some sun on a plush cabana. The hotel also features Camp Grande, designed specifically with children, ages 5-12, in mind. The camp teaches traditional Hawaiian crafts and features a movie theater, video games room, pool table and indoor play area to ensure both parents and children have the time of their lives at this Maui family resort. Combine a luxurious kids-friendly hotel, like the Four Seasons Orlando, with the splendor that is Walt Disney World and you are bound to have a magical family vacation for the books. Located within Walt Disney World Resort, the Four Seasons offers a plethora of fun activities for families to enjoy outside of Disney World. Feel the magic at Explorer Island, which is packed with family-friendly features such as a family pool, waterslides, a splash pad, rock climbing wall and sand volleyball. Parents can drop the kids off at the Kids For All Seasons camp, while they hit the green for a round of golf or savor a relaxing spa treatment. We have all heard of a drive-in movie, but how about a dive-in movie? Enjoy watching a movie while swimming in the family pool or from the comfort of your sun lounger. The magic continues from the private balcony of your room, as you and the family get a front-row seat to the nightly Magic Kingdom fireworks show. Also, don’t miss the Character Breakfast where the littles can meet-and-greet their favorite Disney characters! 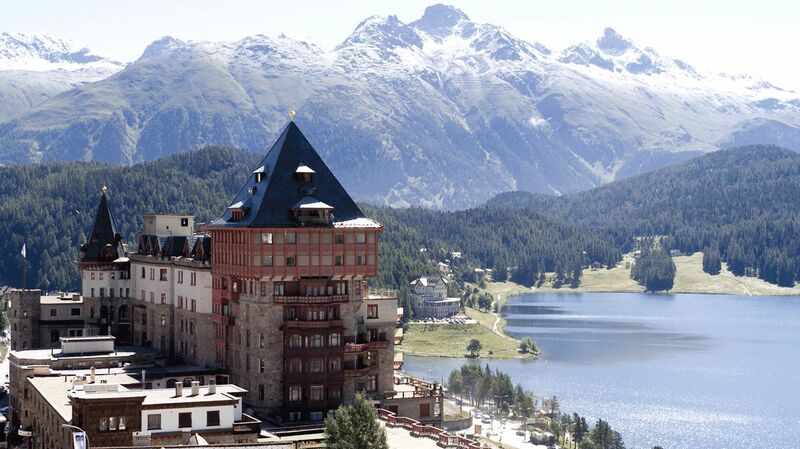 As if plucked straight out of a children’s fairytale book and placed amongst the breathtaking scenery of Switzerland, the Badrutt’s Palace is a legendary hotel perfect for a luxury holiday with kids. No detail is spared when it comes to meeting the needs of their guests, no matter the age. In fact, the Badrutt’s kids’ program was designed by a kid for the kids. The Kids’ Club Palazzino is loved by children and their parents alike. The adults get to relax and unwind at Palace Wellness or enjoy the culinary delights of the many restaurants, knowing their little ones are in great care in a safe environment. The club itself features an array of activities from cooking and baking classes, to themed excursions like horse carriage rides or husky sledge tours. Whether visiting in the summer and making a plunge in the lake or whizzing down the ski slopes in the winter, a stay at the Badrutt’s Palace is a fantastic choice when traveling with kids.